The dead zone around Chernobyl in Ukraine is, in fact teeming with wildlife as its desertion by man has allowed animals to thrive. It can be lonely work, keeping a constant watch on the stricken nuclear reactor, so many are grateful so many stray dogs end up here. Then, just recently, this happened. 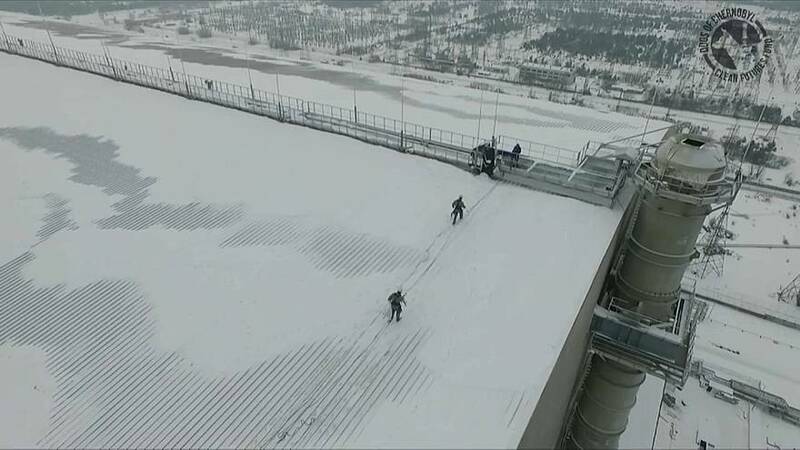 Incredibly, a dog had got onto the roof of the internationally-financed sarcophagus over the reactor. Almost as unbelievable was the response from the ground. This wild dog wasn't about to be given up as three men set off to save it. So salute the heroes, and their new best friend.